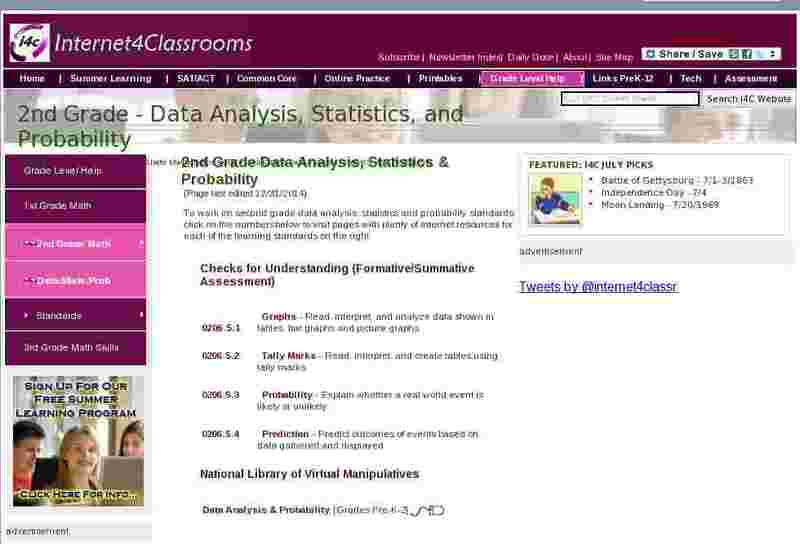 To work on second grade data analysis, statistics and probability standards, click on the numbers below to visit pages with plenty of internet resources for each of the learning standards on the right. Tally Marks - Read, interpret, and create tables using tally marks. Probability - Explain whether a real world event is likely or unlikely. Prediction - Predict outcomes of events based on data gathered and displayed.